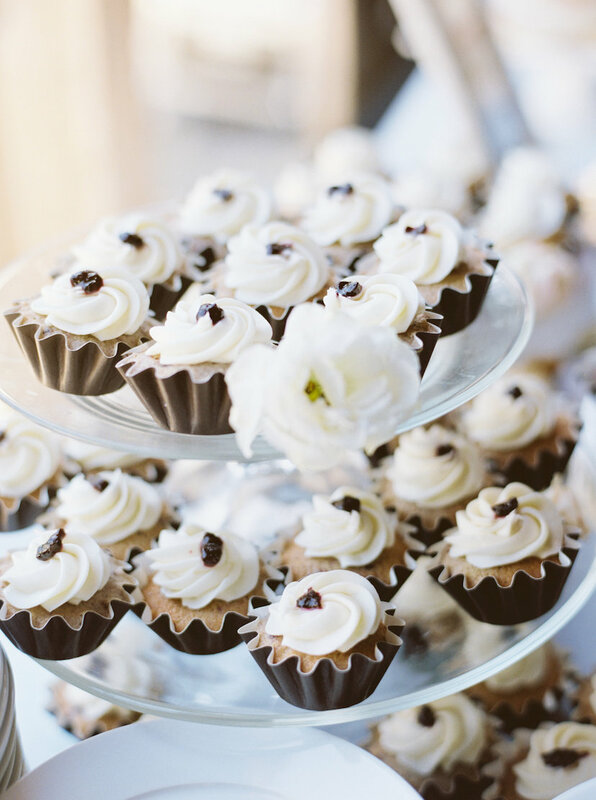 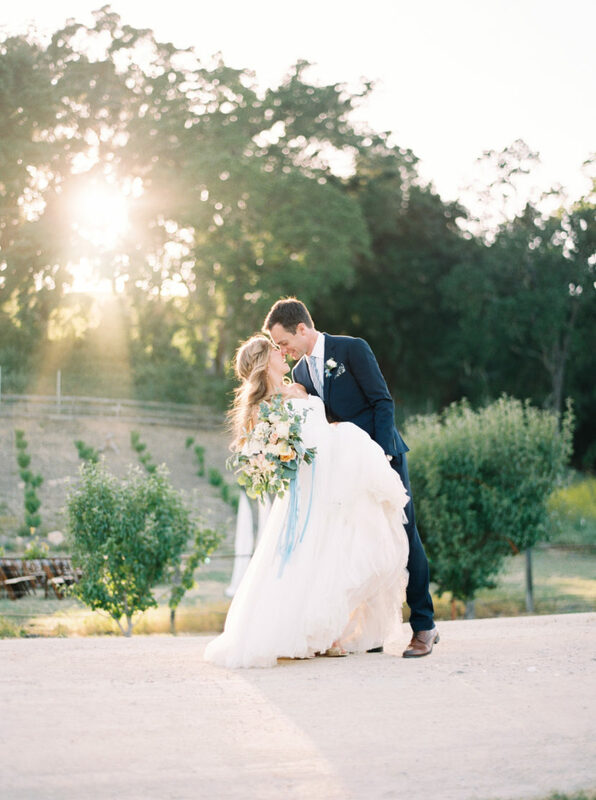 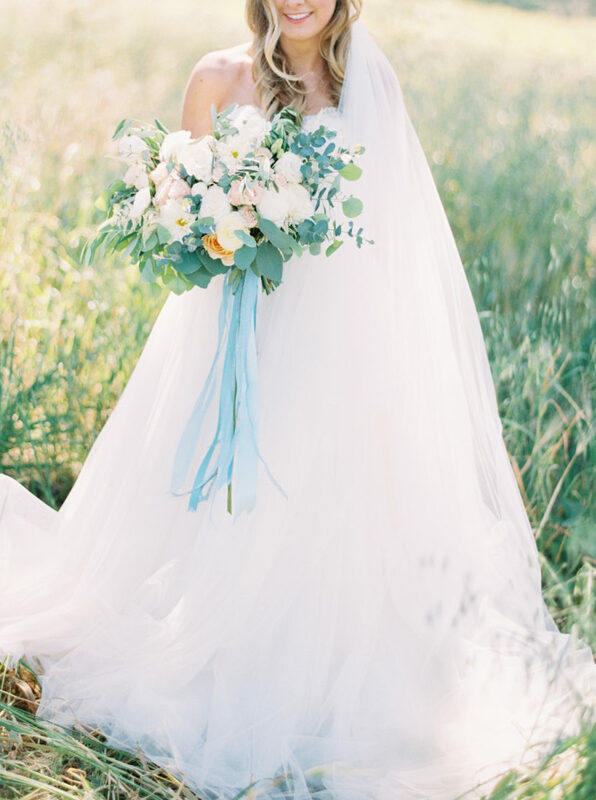 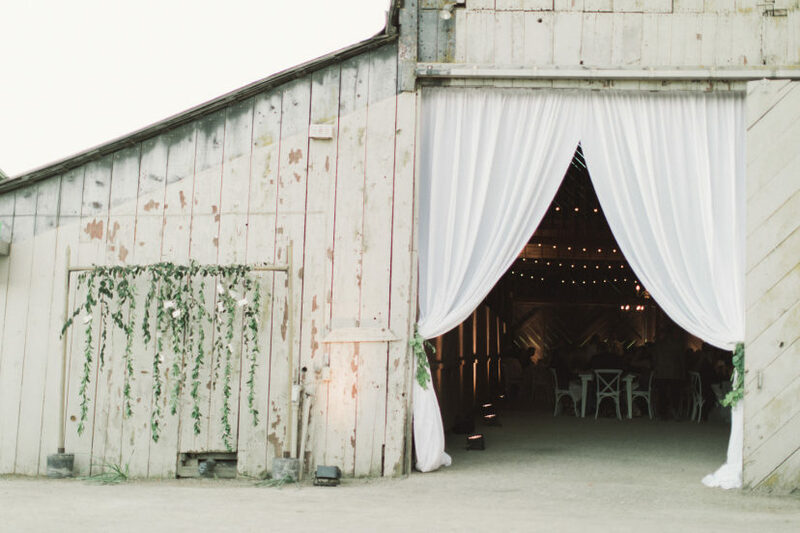 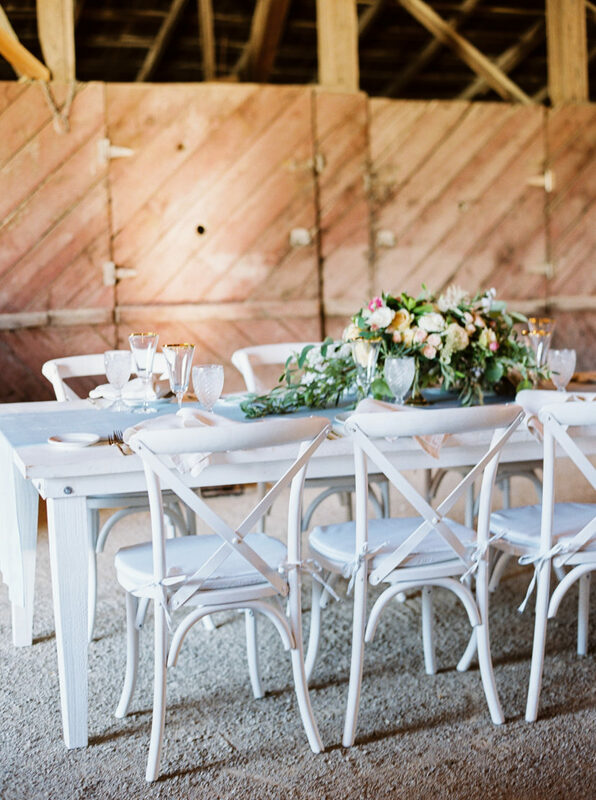 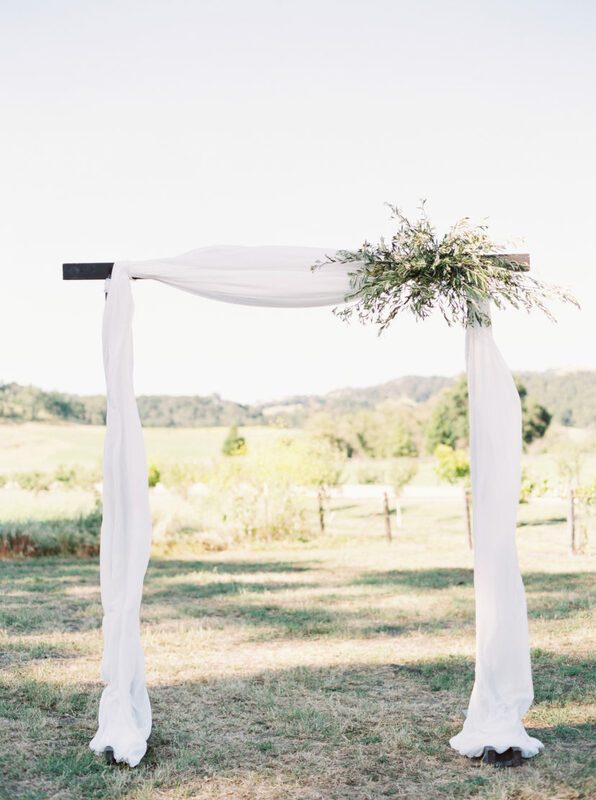 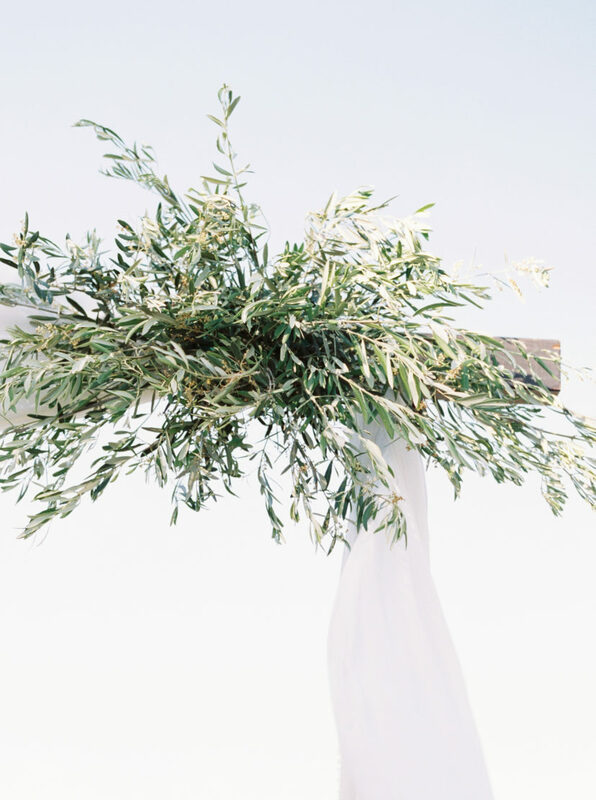 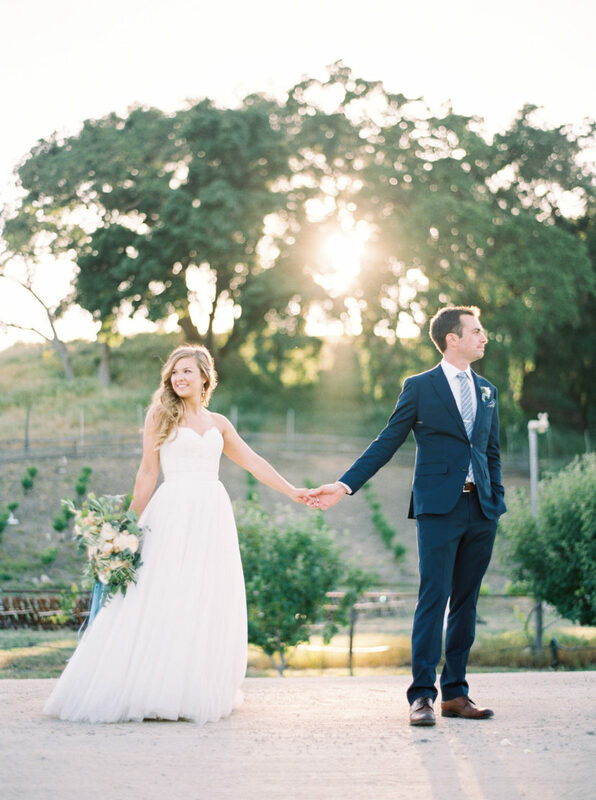 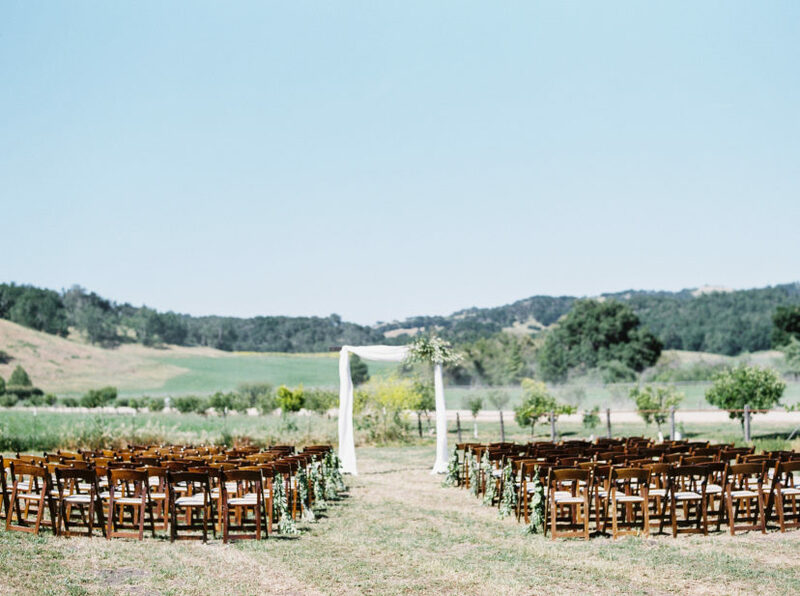 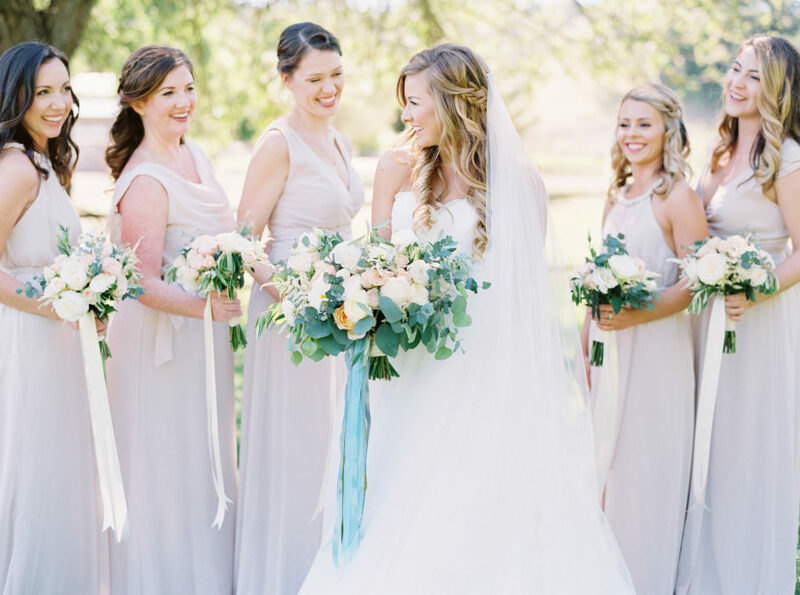 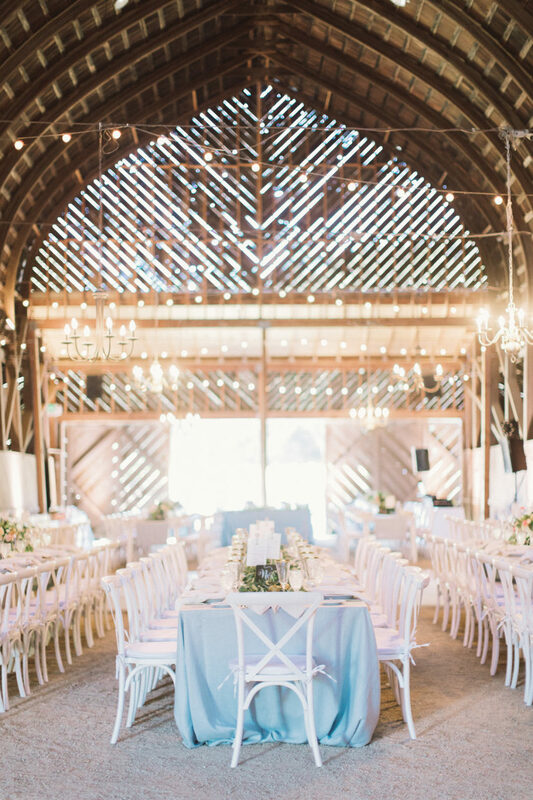 There’s something so dreamy about a white barn wedding! 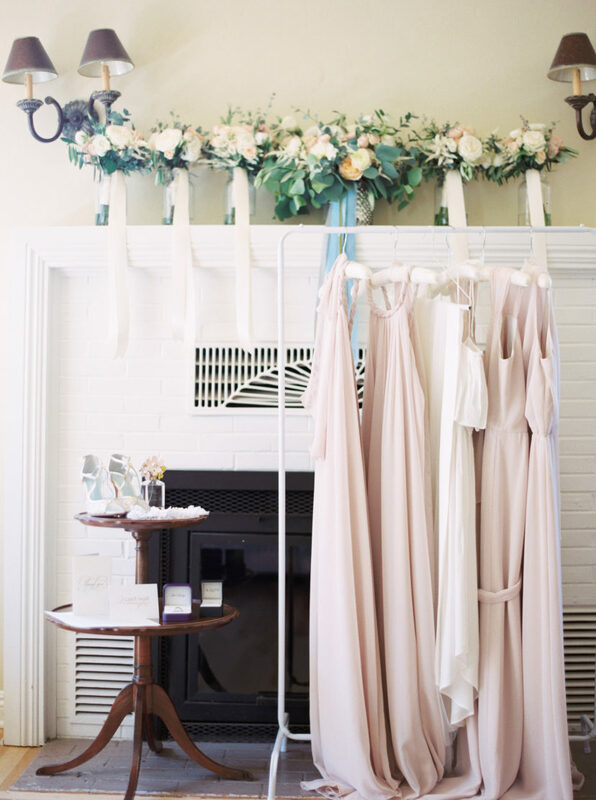 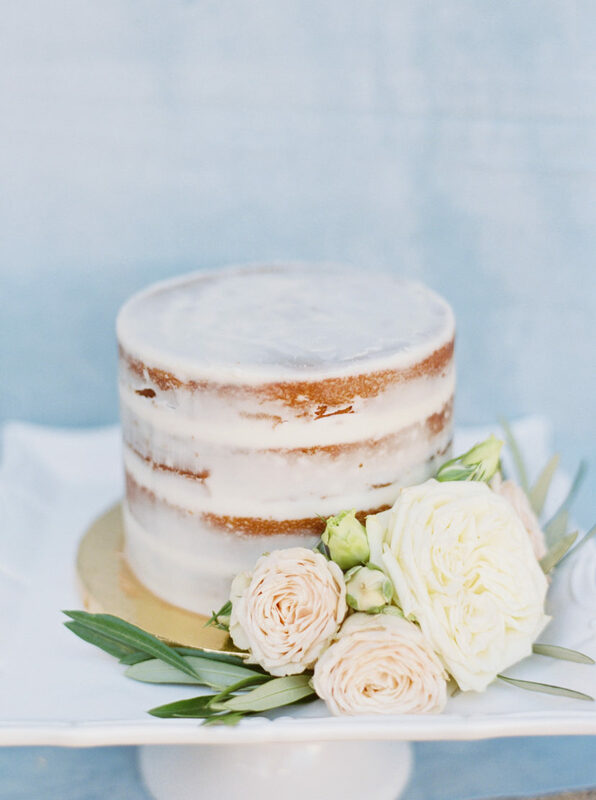 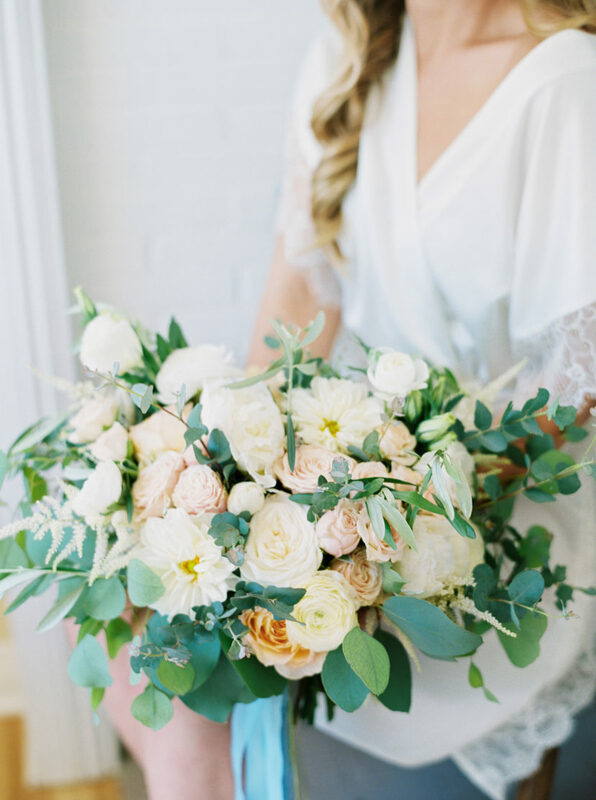 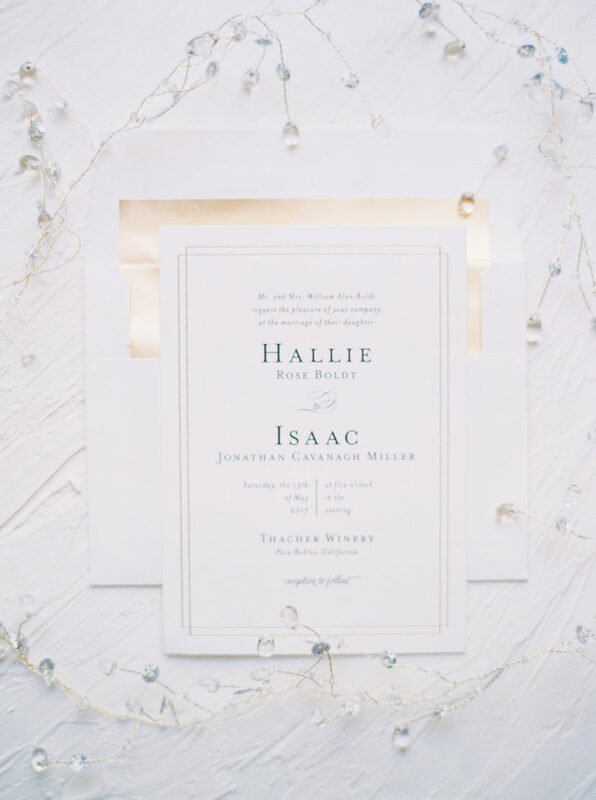 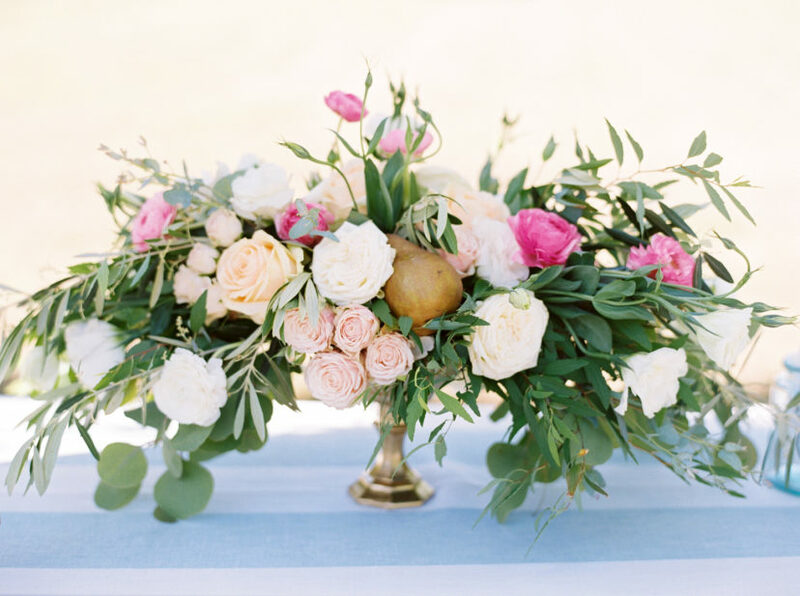 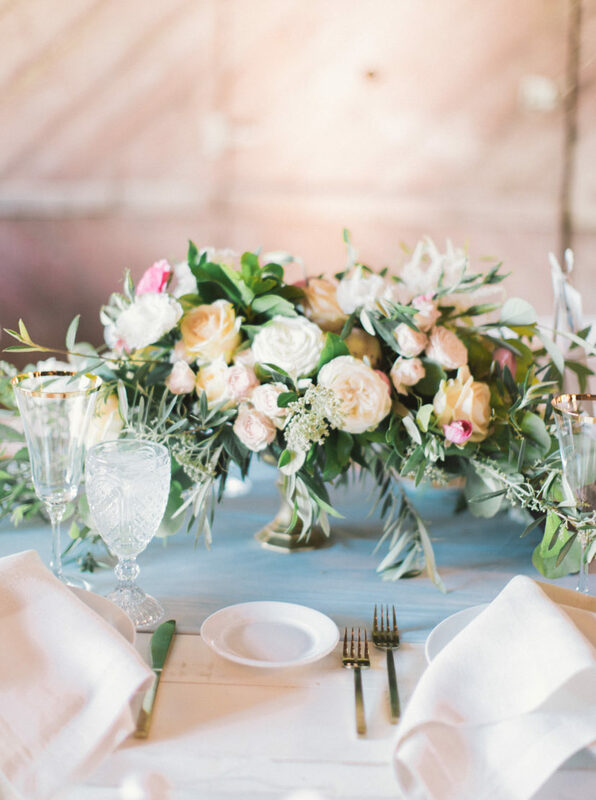 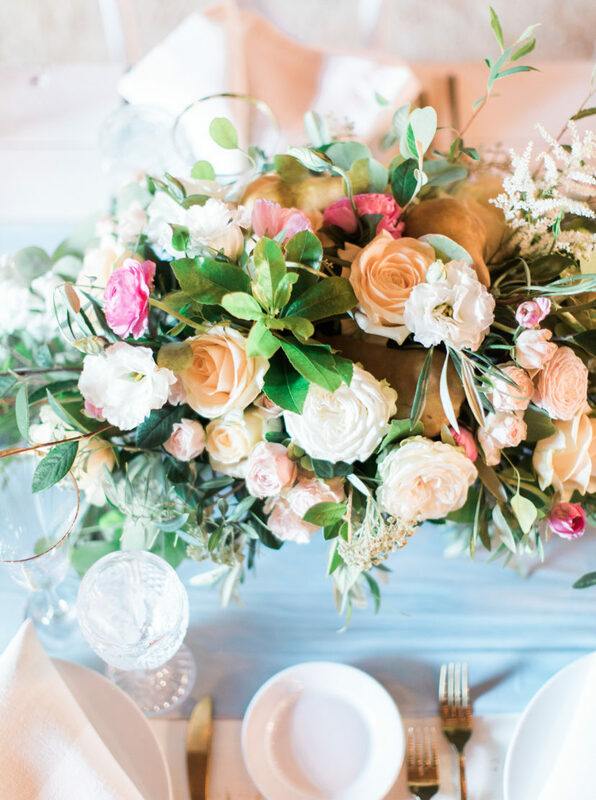 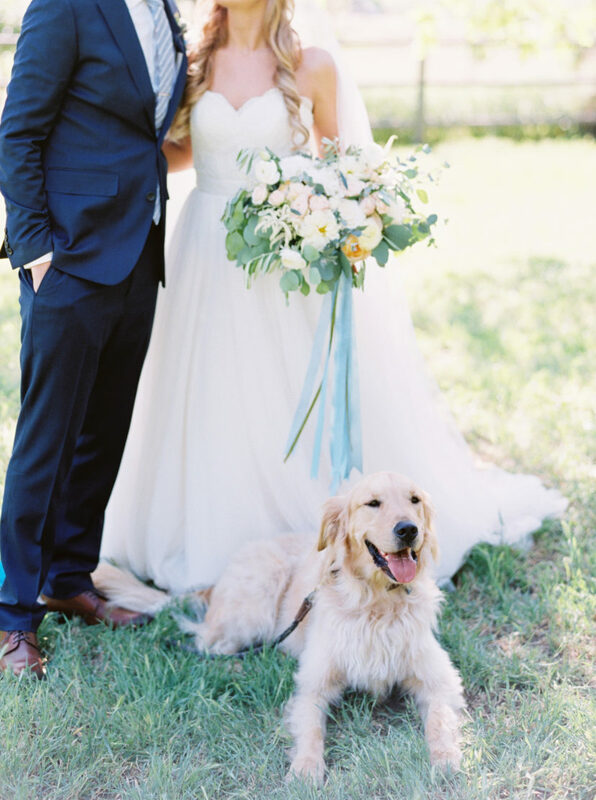 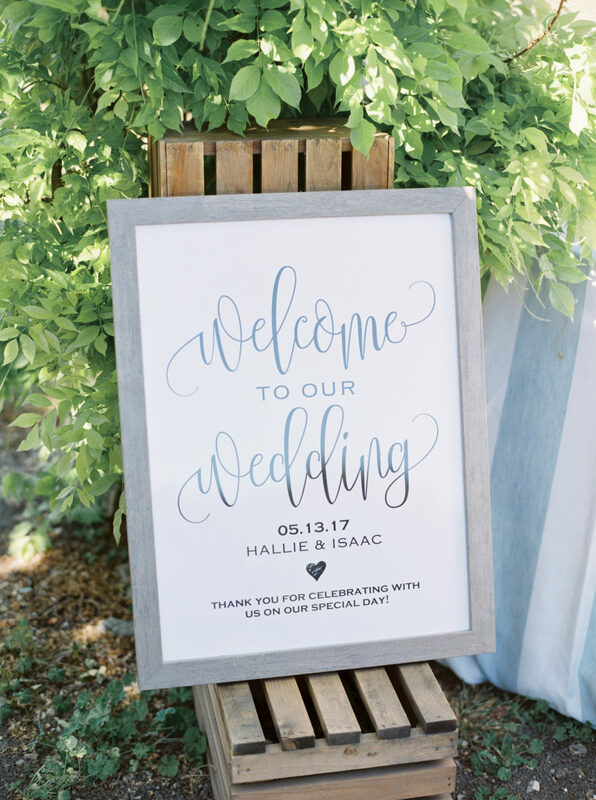 Without the typical glamour and luxurious vibes of a fairytale-esque wedding, this couple managed to still pull off one of the most romantic celebrations we’ve seen with the help of Kelsea Holder Photography and Vanessa Noel Events. 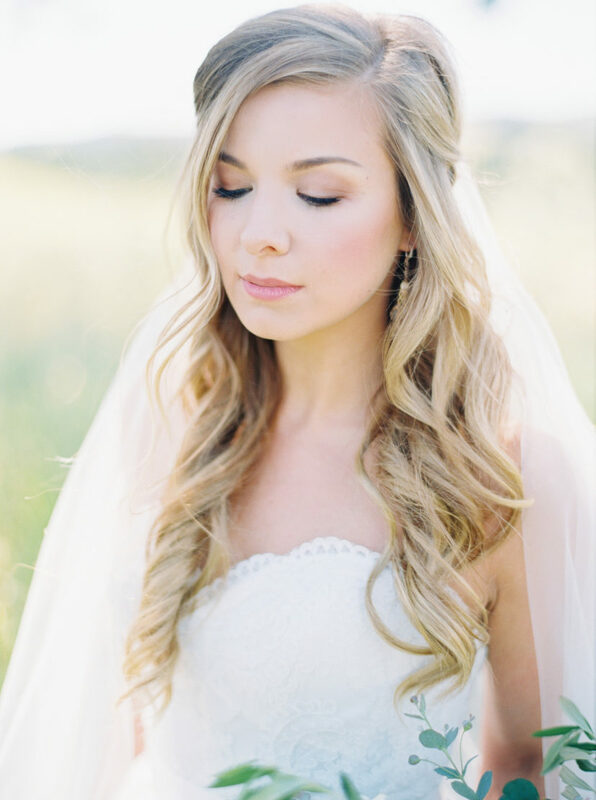 The bride’s hair was curled to perfection thanks to Brit Tarr, and her Watters couldn’t have been more stunning with the classic veil! 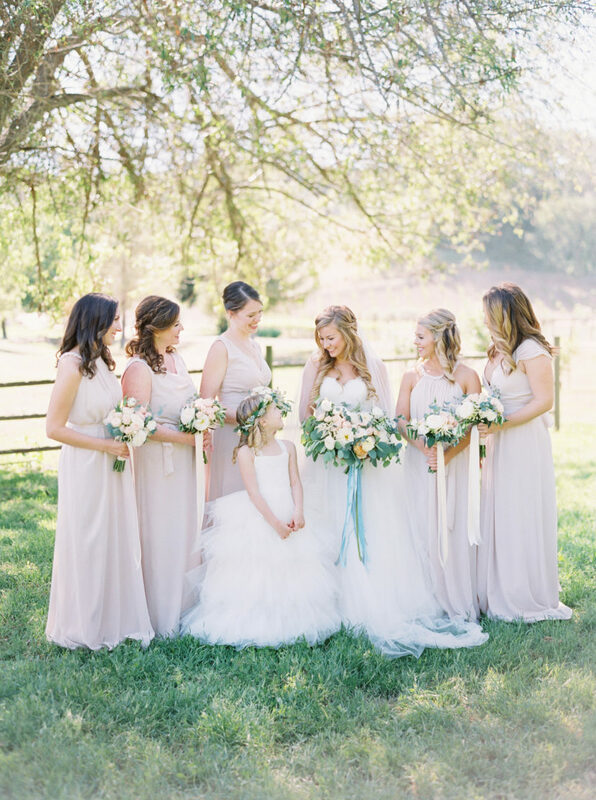 Bridesmaids in neutral, elegant Joanna August dresses complemented the bride perfectly, especially with the hilly backdrop of the beautiful Thacher Winery behind them. 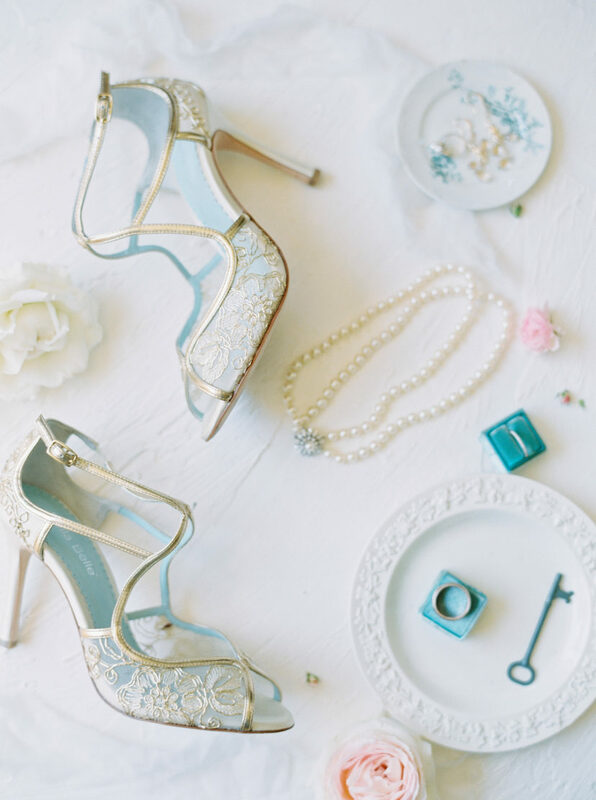 The Cinderella blue details add the perfect pop of color from the bridal shoes to the bouquet ribbon to the stunning La Tavola linens. 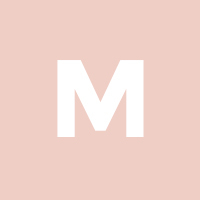 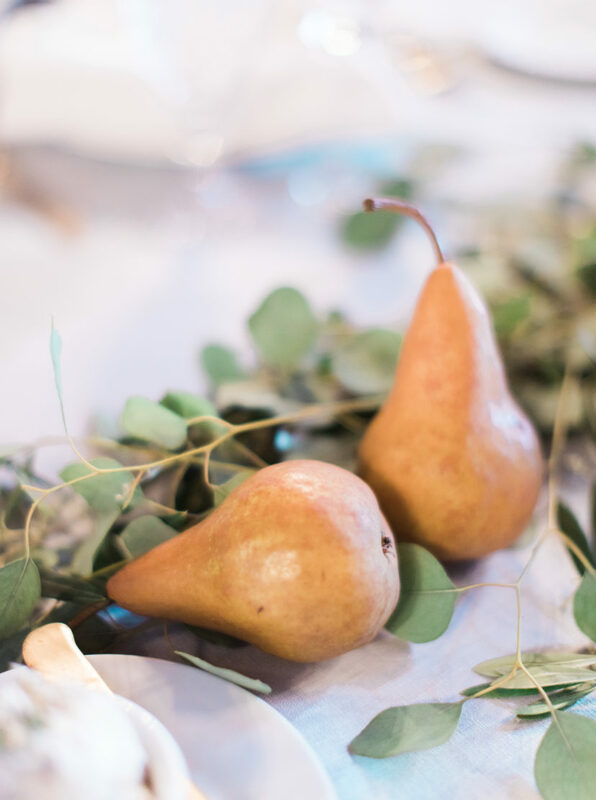 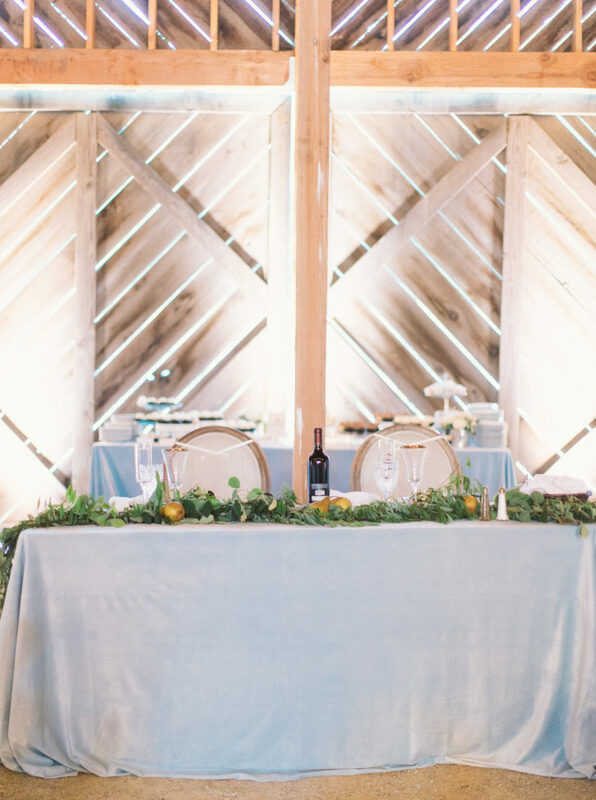 The barn’s airy and natural atmosphere helped inspire chic design like the white drapery, the gorgeous garlands and the pretty centerpieces with gold pears. 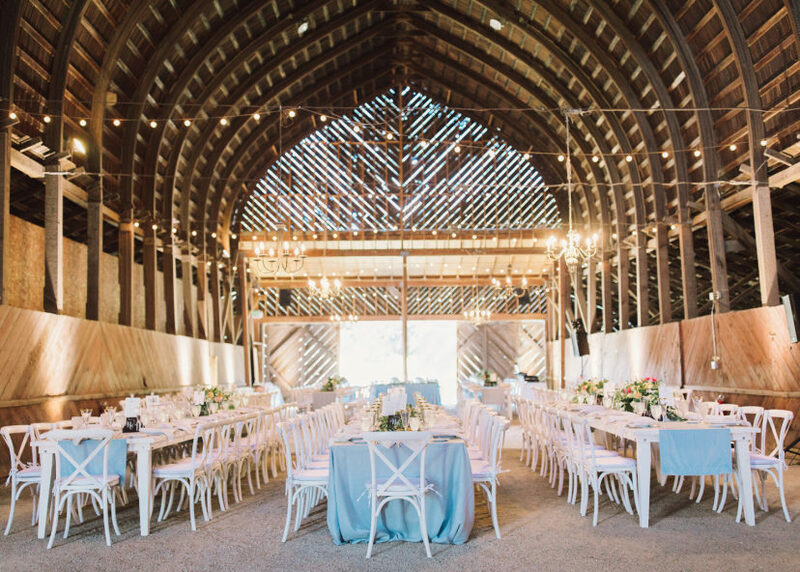 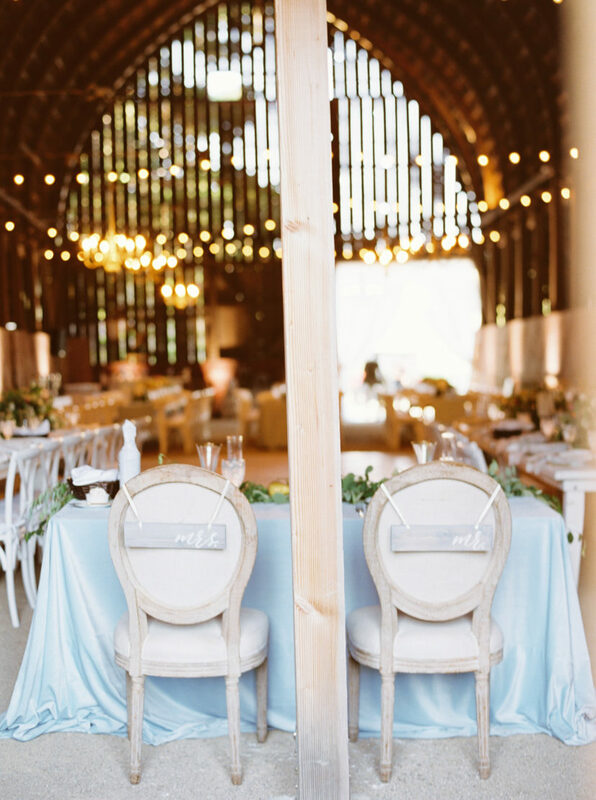 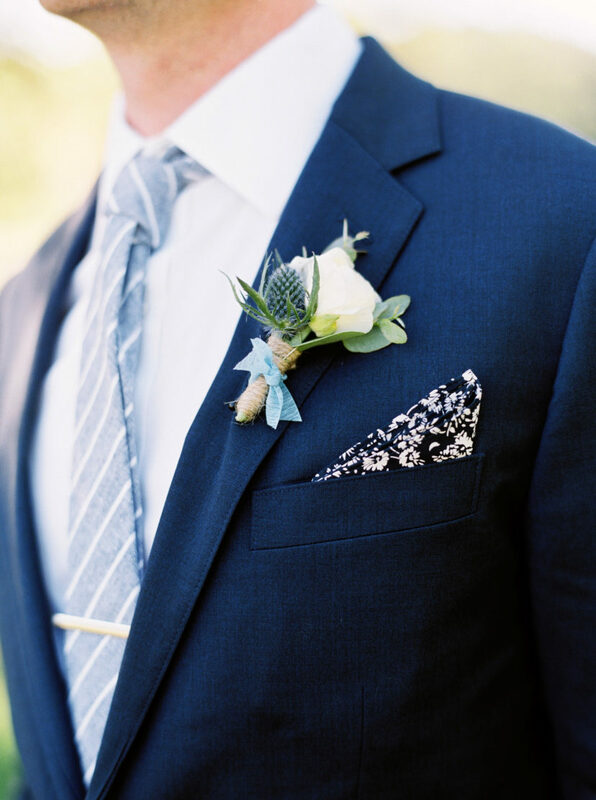 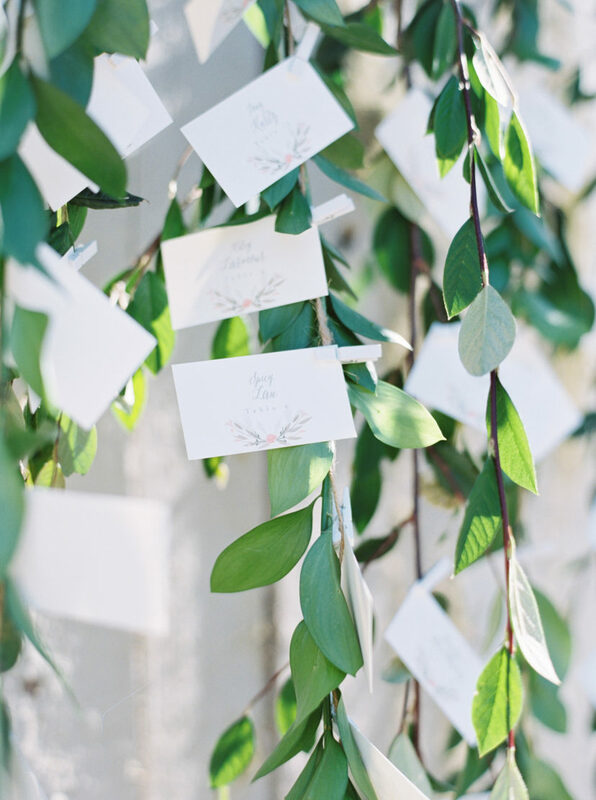 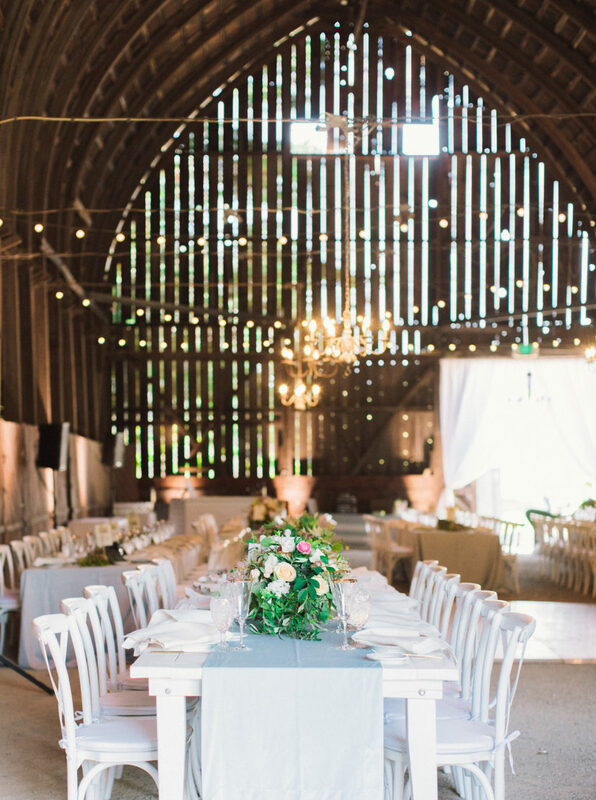 You’ll fall head over heels for this magical barn wedding!